A fire alarm pull station is an active fire protection device, usually wall-mounted, that, when activated, initiates an alarm on a fire alarm system. 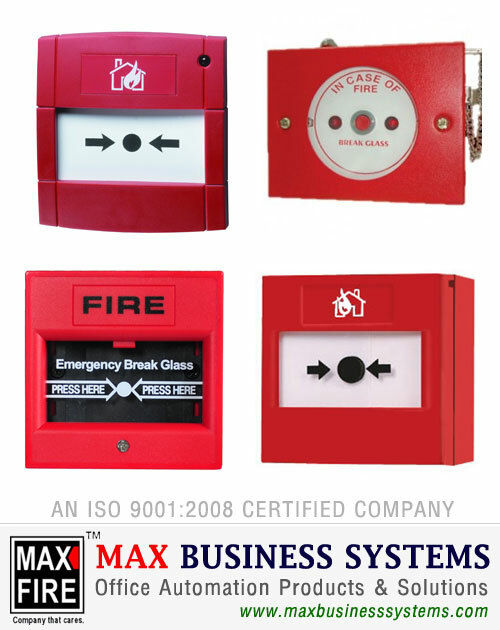 In its simplest form, the user activates the alarm by pulling the handle down, which completes a circuit and locks the handle in the activated position, sending an alarm to the fire alarm control panel. After operation, some fire alarm pull stations must be restored to the ready position using a special tool or key in order to deactivate the alarm sequence and return the system to normal. Primitive manual stations, requiring only a single action or hand motion to activate, can be subject to unwanted activation by jarring or accidental contact. Early strategies to cope with this problem included requiring the operator to break a pane of glass to release an internal spring-operated mechanism. Manual pull stations that require two hand motions, such as lift up and pull down, or push in and pull down, have since replaced the break-glass and single-action models in many modern installations.